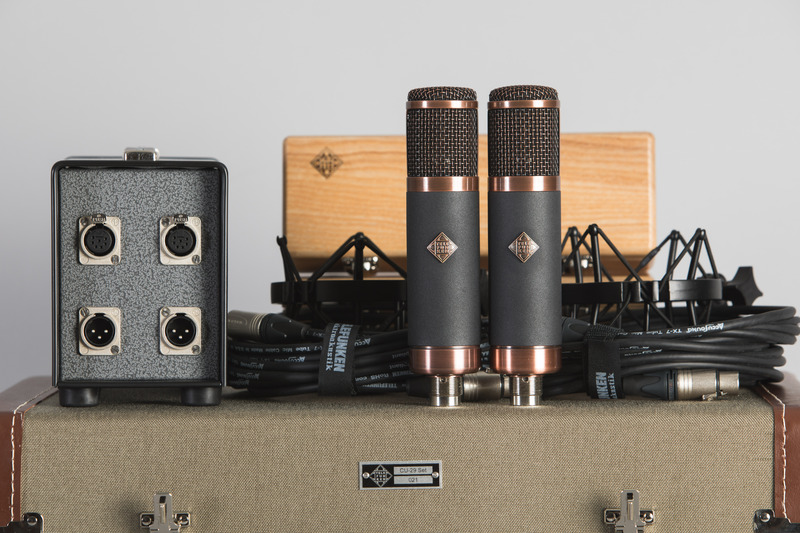 Since its introduction, the R-F-T CU-29 Copperhead has proven itself equally useful on vocals, acoustic instruments, guitar amps, drums, and anything in between. 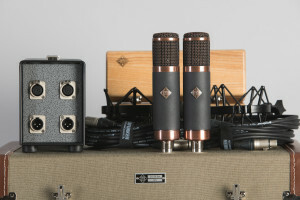 With a wide array of sources it shines on, TELEFUNKEN Elektroakustik has developed the CU-29 Copperhead Stereo Set. The Stereo Set comes in a custom locking flight case that carries both sets of cables, shock mounts, microphones in wooden boxes, and a dual-channel power supply unit. This newly designed dual-channel supply can power one or both microphones at the same time. This upgraded power supply is a superior regulated design with a slow-ramping heater voltage to ensure vacuum tube longevity. The amplifier in the CU-29 Copperhead features a New Old Stock (NOS) TELEFUNKEN 6AK5W vacuum tube, Lundahl LL1935 output transformer, and a single-membrane version of the TK67 large diaphragm capsule used in the AK-47 MkII. Each of these components is rigorously tested in our laboratory prior to installation. 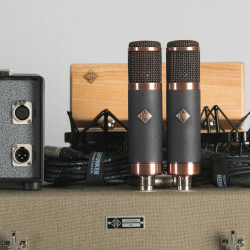 Each component for the two microphones is hand-selected for matched pairs. The capsules have matched frequency responses, the tubes have matched gain and noise specs, and the amplifier circuits have matched gain and frequency response. You can be sure that you will get identical responses from each microphone for the most accurate stereo imaging. With the CU-29 Copperhead Stereo Set, you have twice the versatility of the single unit for nearly any application.